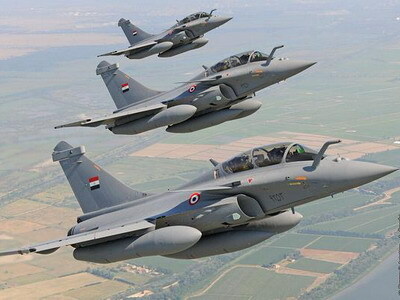 An Egyptian plan to acquire 12 Rafale fighter jets from French company Dassault Aviation stalled after the United States refused to sell the manufacturer key components of the Scalp cruise missile, an important weapon for the aircraft. According to French newspaper La Tribune, contrary to earlier reports, the deal was not stalled by financial issues on the part of the manufacturer, but by US refusal to authorise the export of a key component of the missile system. The newspaper said France approved the export of Scalp cruise missiles to Egypt but the sale has since been grounded after being obstructed by the US. The report said US intransigence was pushing France to seek alternatives by turning to other manufacturers. The paper said the fallout is due to conflict between the US and France regarding controversial French weapons sales to Middle Eastern countries including Egypt and the United Arab Emirates. The issue is expected to be discussed at high levels of government when French President Emmanual Macron visits the US in April. Egyptian military spokesman Tamer El Refaai told local media Egypt considered the disagreement over missile components as an “internal affairs issue” in France and will not comment. The planned Egyptian acquisition of 12 Rafale fighter aircraft has been in the making since November 2017. It was billed to be a follow-up sale to a February 2015 agreement for an Egyptian acquisition of 24 Rafale fighter jets. Eight of those are set for delivery before the end of 2018.